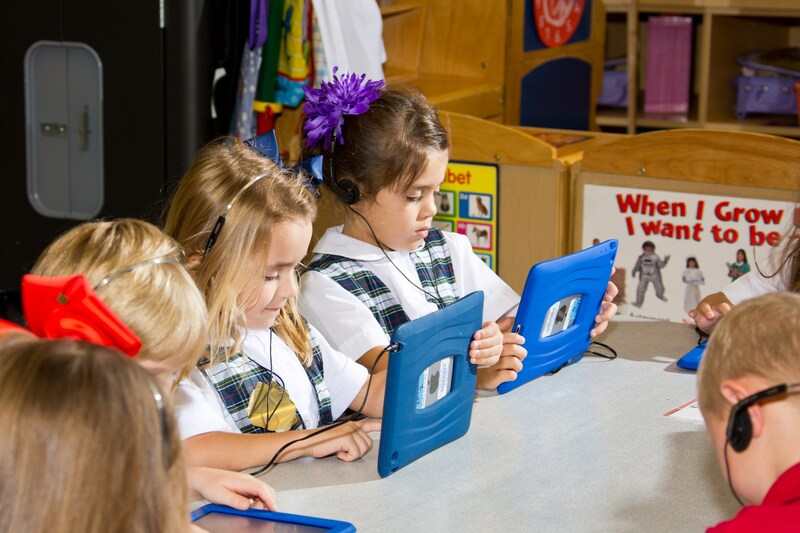 At All Saints Catholic School, teachers strive to integrate technology into the curriculum and promote a student-learning environment that enhances learning and assists and encourages technological skills. All Saints Catholic School follows the International Society for Technology Education Standards (ISTE) to measure competency and set higher goals to be skillful in the technology of the 21st century. 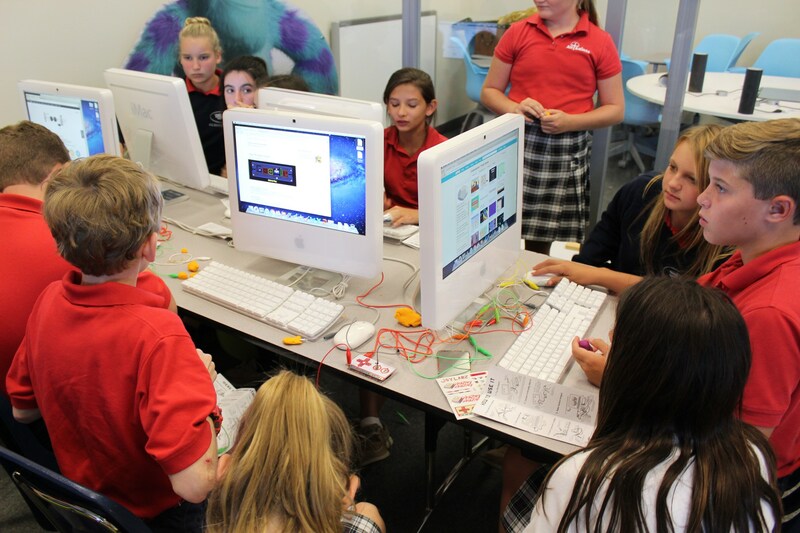 All Saints Catholic School is up to date with the latest technology equipment and software. There are 6 Mac’s in the Media Center for research and video production. The Computer Lab has 1 teacher and 31 Student PC's. We also have 1 computer for TV Production studio use. 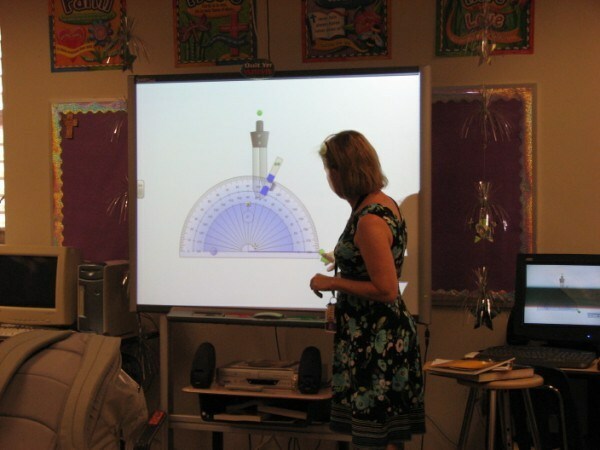 All classrooms and specials teachers have Smart Boards or Sharp Interactive Displays. We have 4 sets of automatic answer response systems for use in classrooms. 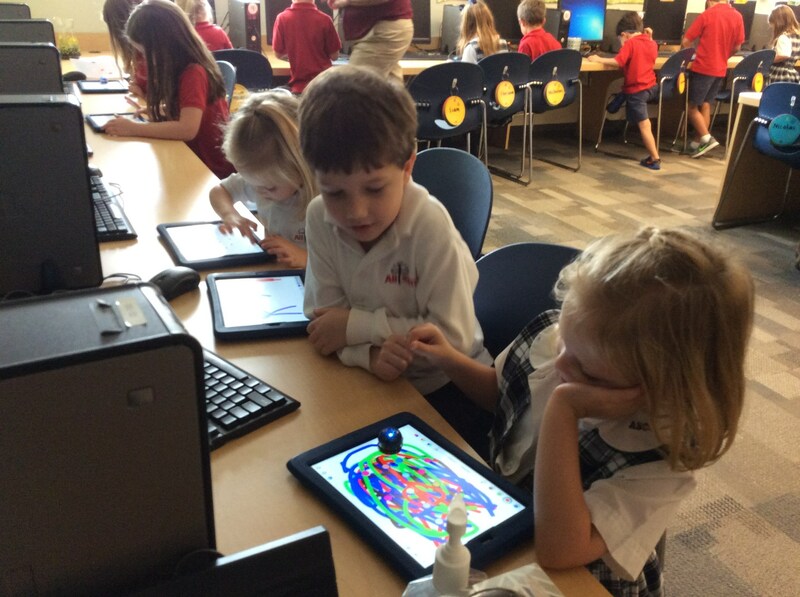 All Saints Catholic School implemented 1:1 iPads throughout the school during the 2013-2014 school year. 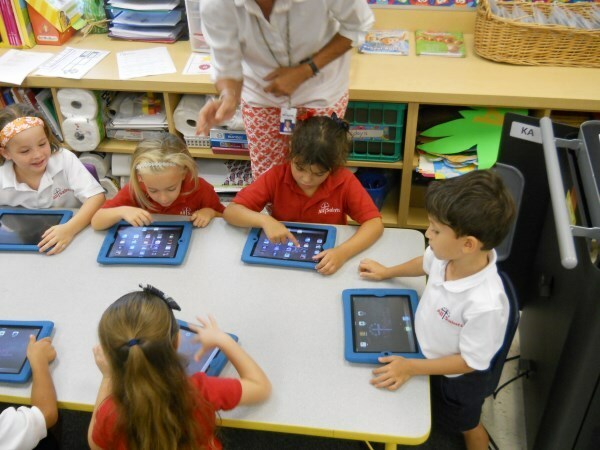 For more information about the iPad program, click on the link to the right. Today’s students need more than technology instruction. They need to develop critical thinking, problem solving, and other 21st century skills to excel in today’s digital world. 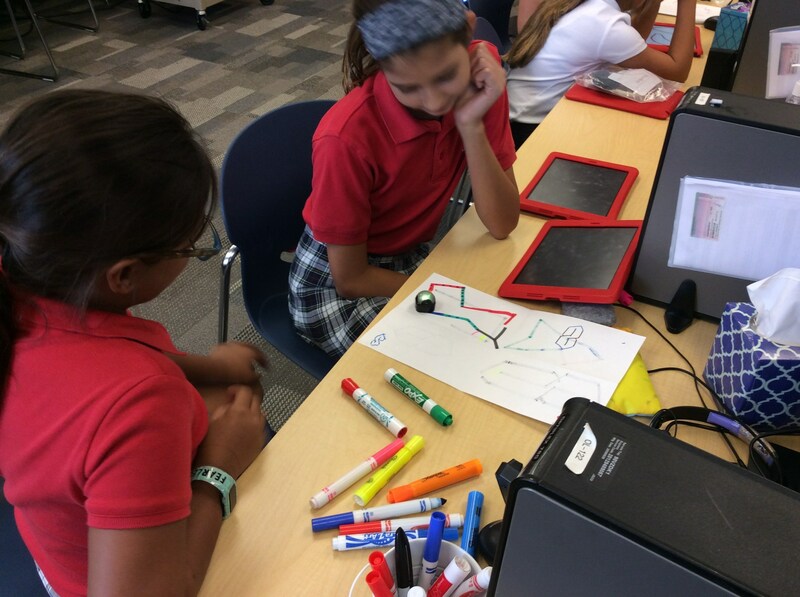 Inquiry uses a project-based approach to integrating technology into core instruction. It goes beyond teaching technology skills and gives our students the opportunity to explore real-world challenges in the classroom, preparing them for college and career. With projects in ELA, math, science and social studies, Inquiry helps our students learn core content while develop crucial digital literacy skills while working both independently and in a group setting.